My favorite bookstore, I Love a Mystery, has gone out of business. I was tempted to say for good but there is nothing good about it. It teetered on the razor’s edge of disappearing once before and, after a hiatus, it sprang back to life. I don’t think that will happen again. The staff has been wonderfully supportive of me as a writer and I want to thank them all. The store has been home to Sisters in Crime Border Crimes chapter, which has been a great resource and a fun group to attend. It has sponsored authors’ signings for many talented writers promoting new books. I’ve had the chance to hear authors I admire. Along with many other patons, I will miss the store and the staff. 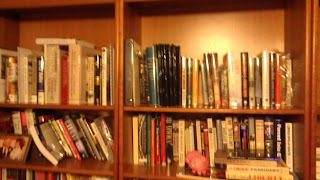 With the store going out of business and putting its stock on sale, I found myself looking at the books through three sets of lenses, i.e., as a reader, as a writer and as a collector. As a reader, I wanted to pick up volumes from authors I enjoy, I wanted to try out authors I have only heard about and I wanted to audition authors I don’t know at all. Unfortunately, not having a store of my own, I could not buy the entire stock. Being a writer I wanted to buy books from authors with skill sets I can study. Sue Grafton’s characters are deftly drawn. 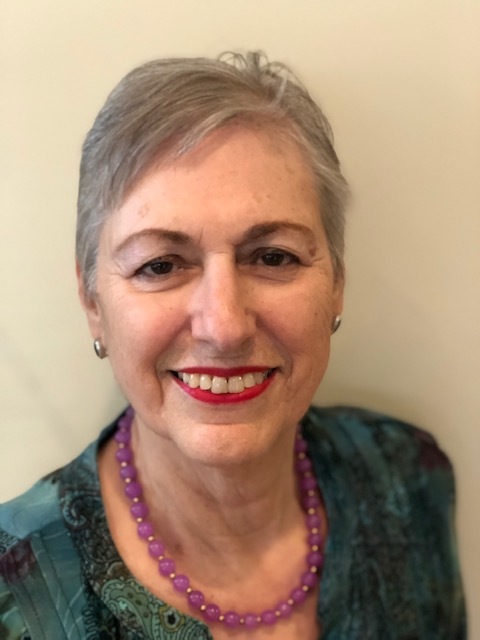 Ann Perry calls the past to life. Carl Hiaasen writes with surrealistic passion. Lee Child never lets up in pacing. Nancy Pickard draws the reader in from the opening paragraph. Scott Turow, and John Lescroart make we wish I had been a lawyer. Carolyn Hart and Adrian McKinty show how the craft of writing can rise to an art form. 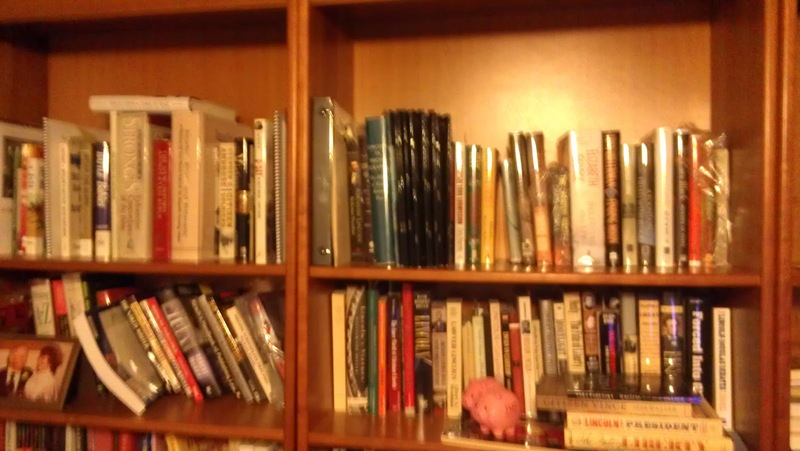 The most difficult point of view for me was to evaluate books as a collector. First edition, first printing books are the usually the most collectable, especially when signed by the author. But indicators that a book is a first edition and first printing vary between publishers and some publishers have changed over time how they designate edition and print run number. Some book have preorders that exceed the initial print run so there may be a second print run for books before the release date. A book initially published by one publisher may have a second first edition when printed by a second publisher. Like with coins, stamps and historic weapons, condition of an item is very important and hard for the non-professional to judge. What a professional buyer will pay for a book is a percentage of what he or she will sell it for. How long it will probably take for re-sale, storage cost, upkeep and profit margin all lower the how much a professional will shell out for a book. Rare books are not necessarily valuable books. If I type and print out one copy of pages nineteen through thirty of the phone book, I will have a very rare document. However, due to the lack of demand, the document would be worth less than the value of the paper it is printed on. Putting the owner’s name on the flyleaf, an author’s endorsement to a specific person (unless that person is famous), torn or faded covers, shelf wear, clipping off the price, or any other “imperfection” reduces the desirability of a book. As a collector, one of the worst things you can do is to read the pristine book you just bought. Don’t even think about snacking or drinking coffee while reading. In my role as a reader and a writer I have read beloved books until they fell apart. I have folded pages, underlined passages, spilled on pages and even (shudder) loaned books out to others. Needless to say, my collector lens constantly needs polishing. Note: I will be on vacation when this blog comes out so I may not respond to comments but I will read them. 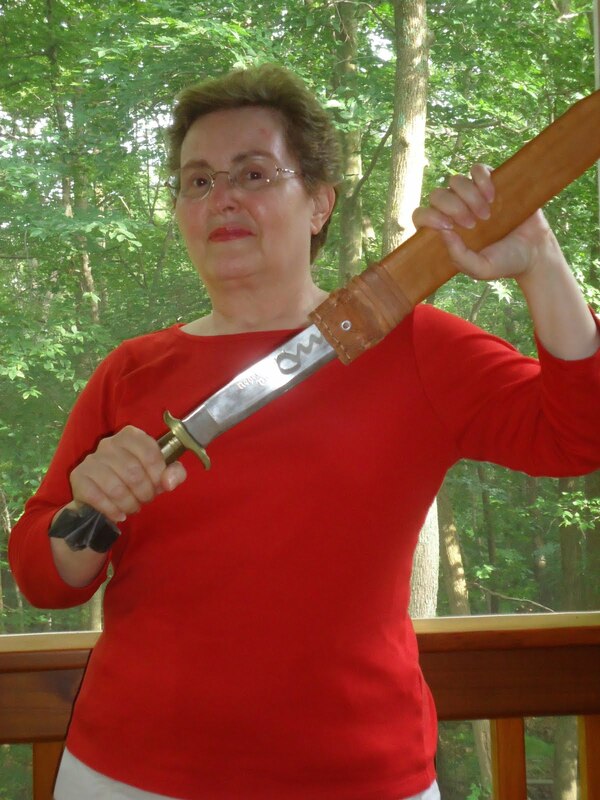 Judy Hogan is our guest today on WWK. I first met Judy at Malice Domestic in 2009. Since that time we've become friends. 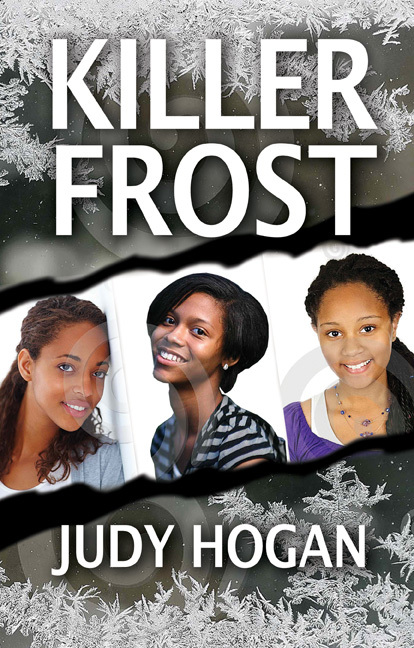 Judy's debut novel, Killer Frost, published by Mainly Murder Press is now available. It's an academic mystery taking place in a historically Black College called St. Francis in Raleigh, North Carolina. Penny Weaver agrees to fill in for a fired teacher and finish out the term teaching a remedial English class. She discovers the college has many problems including too many students not functioning well enough to be there. A few weeks into what seems like a hopeless teaching situation, there's a murder and her boss is the prime suspect. I found Judy Hogan's characters well developed. Her writing and plot kept me intrigued and wanting to read just one more chapter before going to bed. She also kept me guessing to the end on who the murderer was. you've attended or taught at? school level. I was shocked they had high school diplomas, much less allowed into college. GA I like your characters, especially Penny Weaver. How much of yourself is in her? GA What plans do you have for the next book in the series? will be considered for publication. characters? If so, why start with this book? subsequent novel.Killer Frost is the sixth in the series. It was a finalist in the St.
plans to get them published? people are interested in more books about Penny Weaver and friends. 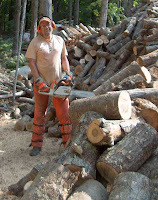 GA I know you live in North Carolina on a small farm. Tell us about that. orchard with figs, peaches, pears and apples, chickens, vegetables and flower gardens. balance to writing, reading and computer work. I'm in better health than I've ever been. GA When is your book launch and other upcoming plans? independent bookstores and at two farmers' markets where I'll be signing and selling. reviewers interested and bookstores and libararies wanting me to do an event. E-books are available both at Amazon for Kindle and Barnes and Noble for Nook. 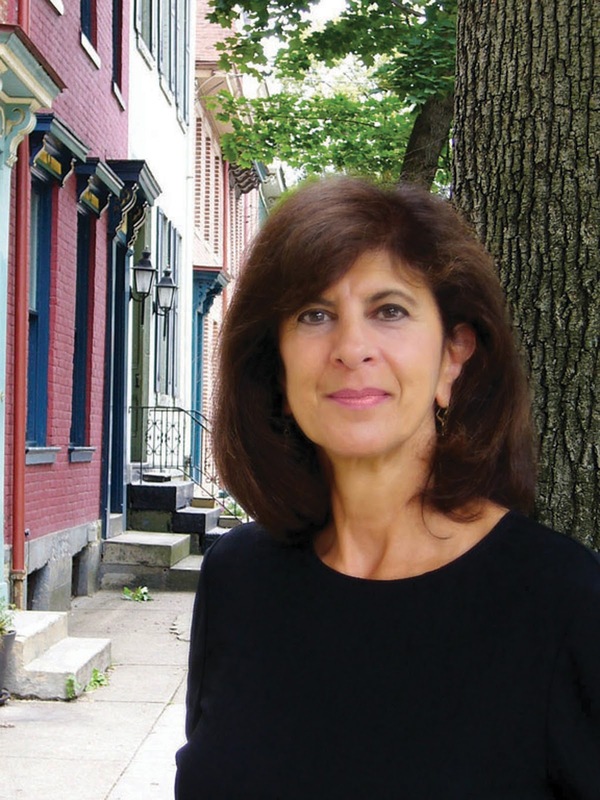 Kathleen George turned from penning an award-winning book of literary short fiction to writing a critically acclaimed series of police procedurals set in her hometown of Pittsburgh. George’s The Odds was nominated for the Edgar. 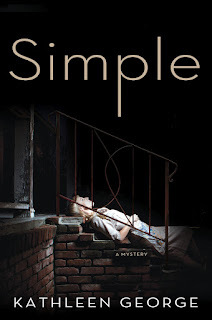 Her new book in the series, Simple, will publish August 21, and is, in my opinion, a real must-read. Kathleen will be giving a copy of Simple to a commenter on today's post. 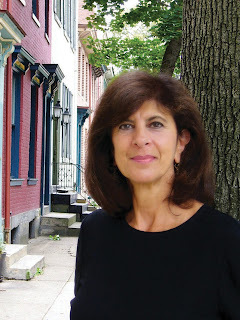 For those new to your series, can you describe the Pittsburgh Richard Christie mysteries? 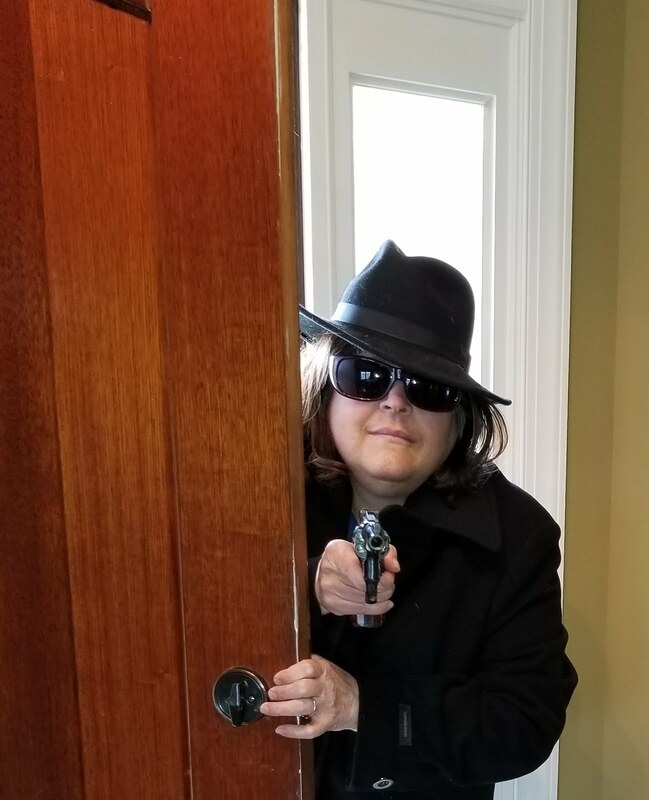 My series has been called suspense, mystery, thriller, and procedural. I think all things apply in different mixes in different books. The series is very character oriented. Both the victims and the criminals have personal lives in each book and sometimes those lives mirror those of the police. The police have an ongoing story of their personal relationships. They fall in love and out. I feel I know them. One reader told me my books reminded her of the Inspector Morse series. I love that compliment because I like to make my police, and especially Christie, human, flawed, contradictory, thoughtful. Lots of people have told me they've fallen in love with Christie. I have too. As I write him, I love him. There are other important police characters--and one of them is Colleen Greer who is a rookie in book three but well on her way in the profession by book six. She and Christie pretty much share the stage. How would you describe Simple to someone who has not read any of your previous novels? The police have to work this case like any other case. The victim is a young woman of great promise, about to start law school. They find out soon enough she was gorgeous, yet somehow so secretive that nobody knew her personal life. When they suspect a handsome and charming gubernatorial candidate of murder, they have to tread carefully. The police are the same recurring characters, but the suspects and victims live a bit better than in previous books. I got to write scenes in Simple between people who have enough money to travel, to eat well, to cater parties, etc. That was fun. Christie is surprised when the wealthy people eat hot dogs. He expected foie gras. What sparked the idea for Simple? Quite frankly the repeated news stories of political candidates and their affairs. I'm not casting a condemning eye so much as wanting to figure out how and why it keeps happening, what feelings are involved, how people square secret desires with public life. Secrets are a large part of Simple. What function do you think secrets perform in peoples' lives? Well, I teach theatre (dramatic literature and playwriting) and without secrets and lies, theatre in the western world would simply not exist. Secrets provide the motivation and the high stakes for criminal behaviors. In Simple, you venture into politics for the first time. In what ways did you find that writing a political thriller differed from the rest of your novels? I always do research. For Simple I went to the county jail for instance and got ideas for scenes. But I also went to law offices and took in the mood, the decor, the work atmosphere. 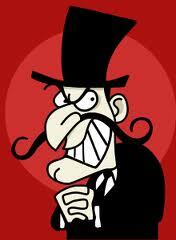 Besides that I consulted with a super attorney who just knows a lot about the world of politics. Two answers: all my life. From babyhood, I was telling stories, apparently. But the other answer is: From the late 80s when I got serious and decided to get an MFA in writing even though I had a Ph.D. in theatre. Getting that degree was fun and it gave me confidence. Everybody likes to be cheered on. At first I wrote short stories. Then I wrote novels that now sit in drawers. Then one summer, just exhausted with revising the same novel over and over again, I played around with an idea to "teach myself plot." Actually to "make myself plot." I made myself do what I'd been telling students to do: high stakes, actions with consequences, etc. That was how I wrote my first in the series, Taken. How has your work or life experience affected your writing? Is there an incident that has changed your life and influenced your writing? Meeting my husband, the wonderful writer Hilary Masters. He influenced me to write every day whether I liked it or not. He was right, the routine, the habit, is important. But more than that, he's an amazing person. I always tell him he's highly spiritual. There I am making lists of tasks and he is noticing cloud formations. He says he's a failed poet. What’s something no one ever asks you? No one has ever asked me why I cry so easily. I ask myself that all the time. I was reading the paper this morning about how when Pirate's pitcher A.J. Burnett had a bad game, the fans cheered him anyway as he left the mound. He was stunned by that much love. I cried to read about it. I said, "Oh, what is wrong with me?" My husband said, "You're right at the bone, always." It's why I write. What would I do with all this otherwise? 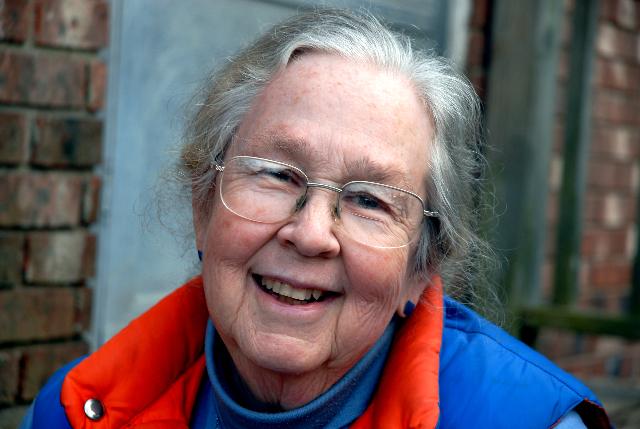 KATHLEEN GEORGE is the author of The Odds, which was nominated in 2010 for the Edgar for Best Novel. 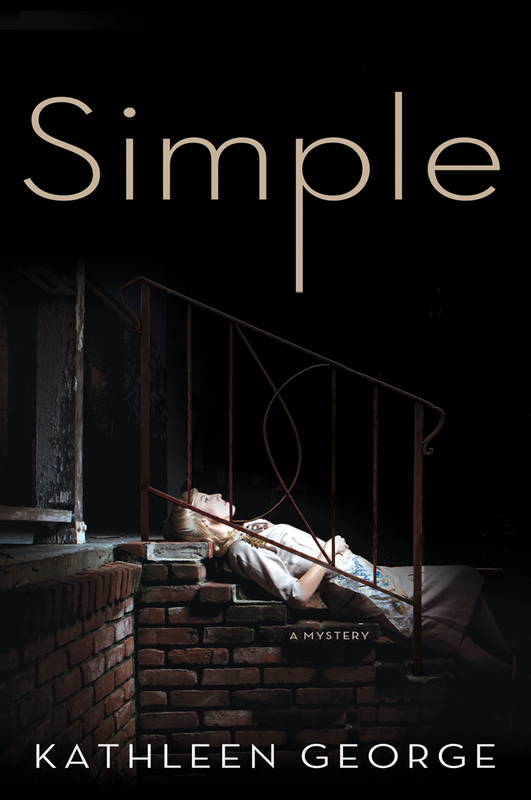 Her new novel, Simple (Minotaur Books), will launch on August 21. 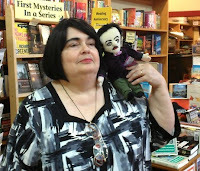 She is also the editor of the short story collection Pittsburgh Noir. 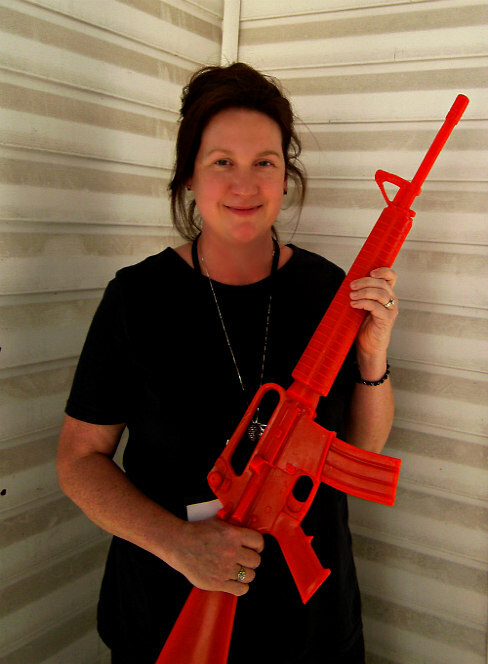 A professor of theatre at the University of Pittsburgh, she and her husband live in Pittsburgh, Pennsylvania. Despite working in a pressure cooker atmosphere there were things we routinely did to promote creativity and fresh ideas. Some of the following ideas worked well for groups but could be adapted for solo writers. There were toys available for our “inner child” to play with, including a basketball hoop. They were good distractions while ideas marinated. On Fridays we could wear extremely casual clothes like shorts and bring in our children and pets. Brainstorming sessions took place almost daily. They were relaxed and informal either in a scheduled meeting, people bouncing ideas off one another, or alone. There was only one rule —no criticism while brainstorming because judgments at an early stage shut down creativity. Also, write down all ideas, even the crazy ones, and then evaluate them at the end of the process. If an idea looked weak, it was pumped up to see if it would work or if it was over the top, then it was taken down a notch. There were additional guidelines for large group meetings. Give people time to come up with their own ideas ahead of a meeting and don’t follow the same train of thought for too long or let one person take over. Otherwise, it could lead to group think. While walking by the Creative Director’s large office I’d often see people sitting around a table working on a project and someone napping on the couch. The theory was if you are stuck, ask your subconscious a question then sleep on it. The answer or useful direction usually appeared upon waking. At the very least, you woke up refreshed. One copywriter refused to write ads for a particular toy because he thought it was inappropriate for kids. He stuck to his principles, and I don’t remember anyone criticizing him for doing so. 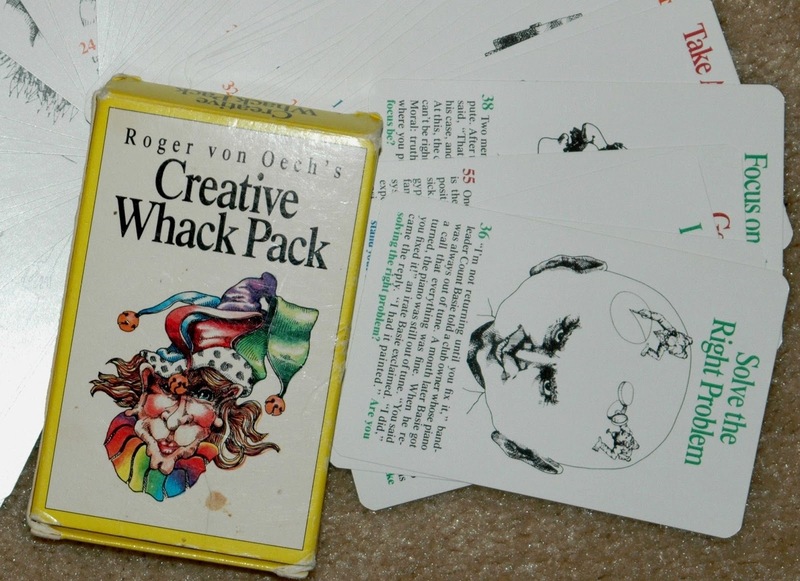 I think he was a more effective writer because he believed in the product. There were always parties and celebrations after winning a new client or receiving an award. I think the appreciation, fun and sharing war stories incentivized people to face future hurdles (and there were many). 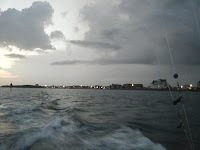 Every year during our vacation, my husband charters a Hatteras style fishing boat to take him to the Gulf Stream. It’s a passion for him. 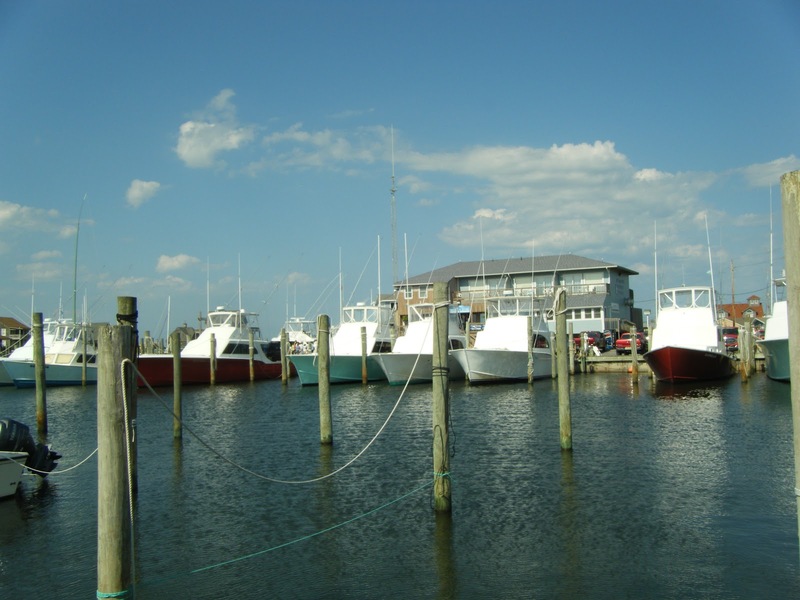 The Gulf Stream flows twenty miles off the coast of Hatteras Island, which is the closest point anywhere along the East Coast. On a fast boat, it takes about an hour and a half to get to, a short trip compared to other coastal harbors. My husband and five cronies usually catch about 200 pounds of Mahi (the dolphin fish—not Flipper) and a few other assorted fish like Tuna or Wahoo (yum! 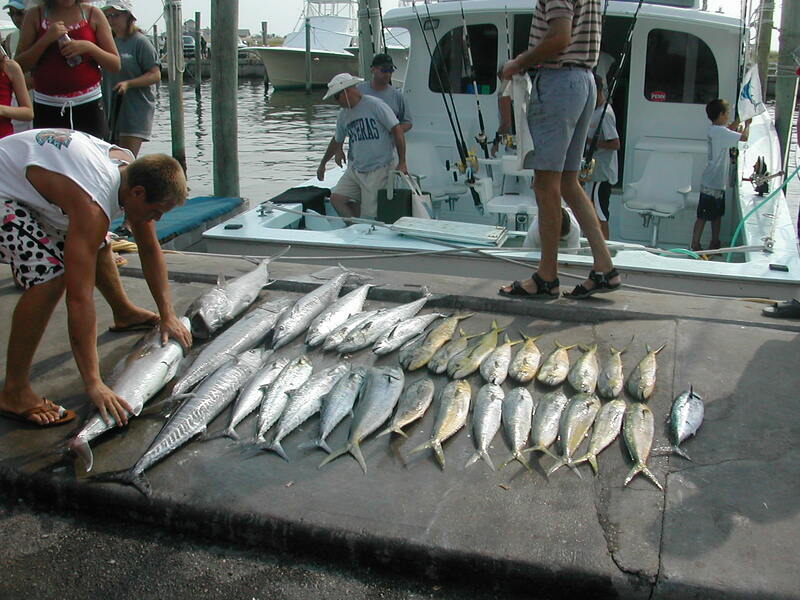 ), but sometimes Trigger or King Mackerel (yuk!). Not that I don’t like Mahi, but year after year I end up with a freezer full of Mahi, which provides monotonous eating from August to April. This year, no one could go. My husband decided to fund the trip alone, which meant that aside from my son, his friend, Ethan, and my daughter there were two extra seats to fill. My son’s girlfriend and I were drafted to go. I grew up around boating so I wasn’t fearful, but I anticipated and dreaded a boring ten-hour day trapped in cramped quarters that smelled of fish. To have me go fishing out in the Gulf Stream seemed to be a milestone for my husband. I bit my tongue, resigned. 5:00 a.m.—With six of us, we decided to take two cars. I drove my old SUV, which we had just decided to fixed up to keep a few more years. My tires were one week old. As we drove in the dark out of our neighborhood, I hit a beer bottle lying on the road, the aftermath of the night’s trash truck. The bottle crunched under my tire. 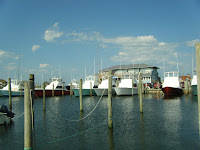 I held my breath and continued down Route 12 about five miles to the harbor without mishap. 5:30 a.m.—A squall broke loose when we arrived at the harbor. We stood on the deck smashed against the building’s overhung roof to remain dry. When the storm abated, the captains, who were tracking the storm on radar, assured us that after the squall passed there would be no more. 6:00 a.m.—We left the harbor. The rain had stopped and the sky became light enough to see. I took a few pictures before being interrupted by the mate to go over fishing protocol and procedure. We were told that the captain, who operated the boat high in the tuna tower, located fish by radar and sight, signaled to the mate, who then would ready us into fishing positions with pre-baited rods so the contest between man and beast (fishies) could begin. I listened with one ear as we got into the sound’s channel and made our way to the inlet, that turbulent stretch that delineates the sound from the ocean. 6:30 a.m.—My husband explained to me that our captain had worked at the boatyard building the type of boats we were on and that our charter boat, The Big Eye, had double ribs, meaning the boat’s hull was extra tough. Good to know since we were passing through the inlet to the ocean, which didn’t seem anymore tranquil than the inlet had been. The waves were higher than the aft deck. 7:00 a.m.—Everyone was ordered into the cabin when lightning struck nearby. 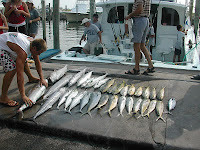 I was sitting in one of the fishing chairs bolted to the aft deck when the order came. Getting from the chair to the cabin was only possible by crawling since the un-level deck bounced under my feet in no consistent direction. I made it as far as the entrance to the cabin and decided to sit on the floor where the wind blew cool and I could see the horizon. Ethan lurched out of the cabin and blew his cookies into the drink. 7:30 a.m.—We were getting close to the Gulf Stream. Sea grass floated by us. We told Ethan to look at the horizon and stay in the airflow. He immediately discarded our suggestions by going below deck to the head. Throwing up in the head meant an instant $200 fine by the boat management. We funded the expedition, but we weren’t happy that Ethan hadn’t followed our advice. He lay in a berth below deck where he remained for the rest of the trip—in misery. When I went to use the head, I found that he had not made us incur additional expense, and I thankfully did my business without nastiness greeting me. 8:00 a.m.—The aft deck pitched to and fro. My son, whose stomach had us concerned since he seemed unwell over the course of several days went to starboard side and also blew breakfast. (When he proposed to his girlfriend two days later, we understood his nervousness.) Accustomed to charter fishing, he knew what to do and felt fine for the rest of the trip. We arrived at the Gulf Stream. The mate proceeded to tell us where to stand to fish. I told my husband the mate’s suggestion was ridiculous—we couldn’t stand let alone fish. My husband went up to the tuna tower to talk with the Captain. 8:30 a.m.—My daughter, son’s girlfriend and I persevered. We weren’t sick, but we wondered about men’s sanity. Perhaps fish really did control their brains. 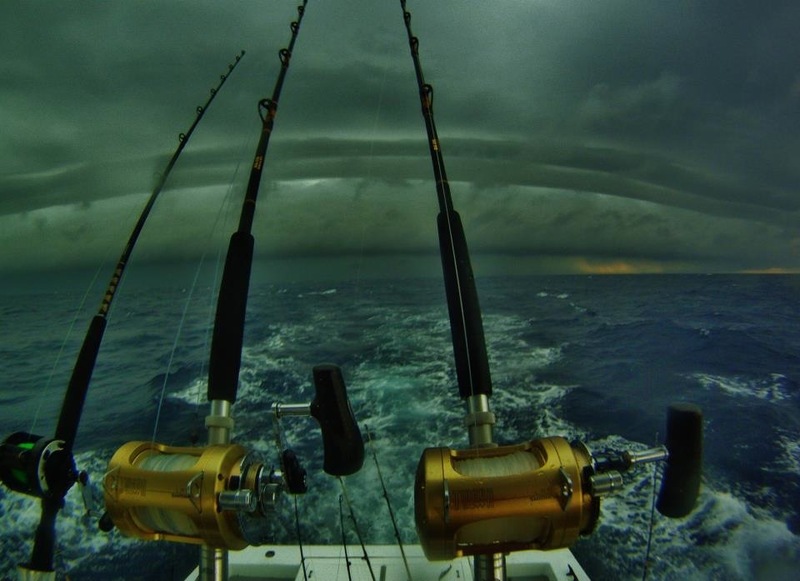 Up in the tuna tower, my husband reported another squall line had formed—out of nowhere. No squalls appeared on radar. On the radio, a captain of another nearby charter boat and our captain concluded that the squalls were forming where we were located—an event that happens about every five years. They saw two fronts colliding in back of us, where the squalls emanated. The other charter boat was much larger than ours. The captains decided to buddy up and make a run for the harbor. I noticed that the larger boat positioned behind us, making me wonder if those double ribs were more important than size. I was glad I was on the smaller, sturdier boat, but then I also knew my husband, who picked out this boat. I made a damn good choice when I married him. 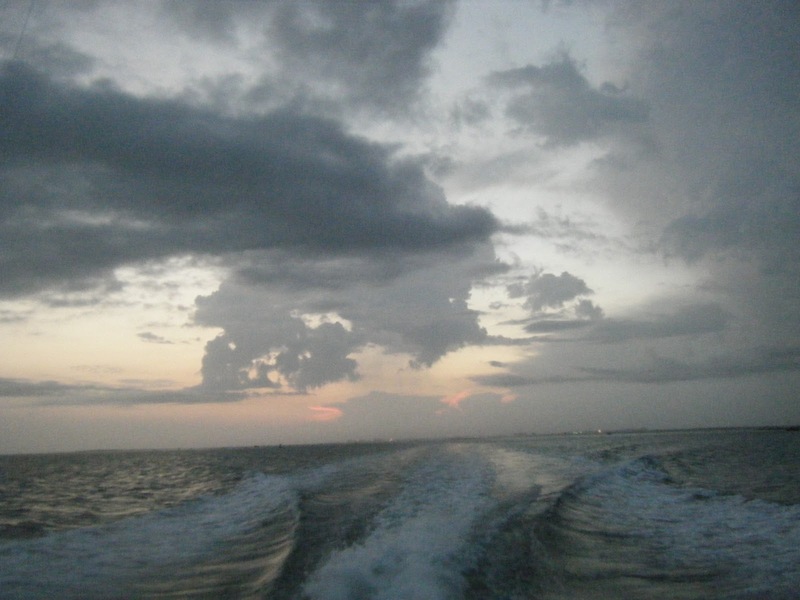 9:00 a.m.—The waves, now fifteen feet high, dwarfed the boat. I understood what the term “donkey riding” meant. 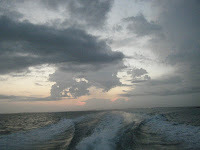 The captain gunned the engines, but when we hit a trough, he slowed because the water lashed both sides of The Big Eye. The mate balanced on the aft deck, like I used to on ice skates except if he fell, he would go overboard. 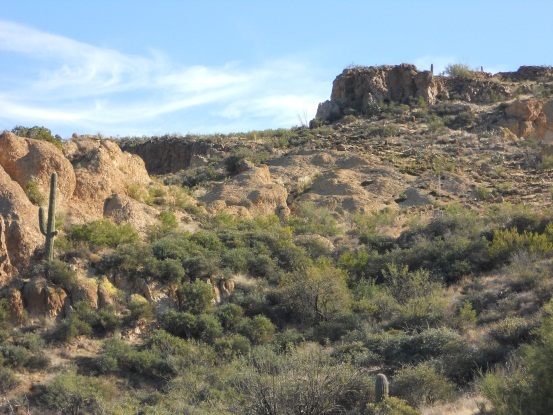 The motion brought on sleepiness, but I feared closing my eyes would bring motion sickness. 9:30 a.m.—We went for a wild ride through the inlet with the larger boat still trailing us. My husband, who spent most of the ride up with the captain, said that some boats didn’t respond fast enough, and they had to ride out the storm on the ocean. I was thankful for our prudent captain. 10:00 a.m.—We arrived back at the harbor and found my front tire flat. Our five hundred dollar deposit was gone, but we didn’t have to pay the additional eight hundred for the day, and we were alive and on solid ground. Back home, we took a two-hour nap before dealing with the flat tire. My husband is considering trying again later in the week. I pray for craft warnings. P.S. He went on a head boat (holds about 40 people) by himself the next week. Once out in the Gulf Stream, one of the engines malfunctioned. They limped home without fishing on one engine. I rushed through college in 3-1/2 years, graduating in December 1971. I was anxious to be done with schooling and start a “real” life. I was fortunate because my parents paid for my college expenses. I could have had an extra semester for “free,” but I was ready to tackle the world. The U.S. was in the middle of a recession and jobs were a problem. What was I thinking? On March 6, 1972 I started working at Kwasha Lipton, an actuarial consulting firm. The major portion of our work involved determining how much a company should contribute to their defined benefit pension plan each year. This involved updating employee data from the previous year, resolving data questions, writing complicated evaluation programs, determining the correct results and writing a 30-60 page report documenting the findings. The process took 8-10 weeks assuming we got our data questions “quickly” answered. The fax machine did not exist (teletype was slow, expensive and not widely available). Simple questions could be answered by phone, but any large data questions required using mail to send the questions out and get the answers back. There was no Fed-Ex next day service; in fact mail took the better part of a week to get from one place to the next. Due dates were approximate. Typing was done on IBM Selectrics and we had a big printing press in the basement to print our reports. You submitted computer runs in the morning and got them back the next morning, unless they were rush (which had to be approved by a VP). If we ran into an unexpected problem that caused an extra day’s delay, we simply blamed the postal service if it arrived late. I won’t take you through each technology change and its impact on lifespeed between my first days at work and my last, a decade ago when I retired. Instead, I’ll consider the effects of the changes in speed in transferring information between clients and ourselves. The first crack in the armor came with local clients: an expensive courier service was available and we could deliver material in a half-day’s time.We rarely used it, but it was available if necessary. Once Fed-Ex and their rivals introduced next-day shipping, our deadline became the last pick-up at the latest drop-off point (usually the airport). We knew exactly how long it took at 11 pm to get from the office to the drop-off. The nail in the coffin was the fax machine. Originally expensive and slow (high quality took something like six minutes a page), soon faxes could send a page in under a minute. They became ubiquitous, relatively inexpensive and as soon as you were done with your work you had to IMMEDIATELY FAX IT. A product that could legitimately have a delivery window of a week or two now had a fixed deadline attached: 5 pm June 18th and not a moment later. It’s not just at work that communication speeds have changed our behavior. We used to write letters; now we IM. We used to have conversations at restaurants, now we pay more attention to our phones than to our dinner companions. We feel the necessity to put our best friend on hold so we can answer a phone call from who-knows-who. We need Amazon Prime to deliver our next toy tomorrow. We download an interesting app immediately. We used to reflect on thoughtful essays; now we pontificate in 140-character tweets. This rushed life has caused our nation and probably the world to lose its ability to reflect on a problem and arrive at a considered solution. We insist on instantaneous answers to our questions. They’re usually very simple, and I fear often wrong. In today’s frenetic environment, do we have to intentionally slow ourselves down to write well? I wrote a guest blog some time ago about how writers in other genres can learn to use suspense techniques. Now, I'm preparing a workshop I'll give at a writer's conference in October on the same topic, so I thought I'd pull it all together for Writers Who Kill today. Suspense is not only the province of thriller writers, and some of our techniques can be useful to writers of other genres. Every novel needs suspense elements to keep the reader turning the page. At its simplest, suspense consists of making the reader want to know what happens next. At its best, suspense is making the reader worry that his beloved protagonist will never reach his overpowering need or goal and what on earth is going to happen next! You will find this kind of suspense in all kinds of good novels. Will Atticus Finch be able to save innocent Tom Robinson’s life in To Kill a Mockingbird ? 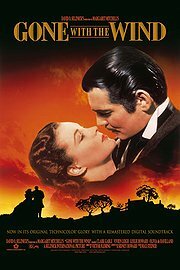 Will Scarlett O’Hara save Tara in Gone with the Wind ? Will Paul Atreides be able to become the Kwisatz Haderach to defeat the evil Harkonnens and the Emperor in Dune ? There are a number of ways to provide suspense in a story. I say “provide” rather than “insert” because the suspense needs to be integral to the story and not just something added on.